Best Thesis Award in JNIC 2017 for NICS member David Nuñez | Network, Information and Computer Security Lab. 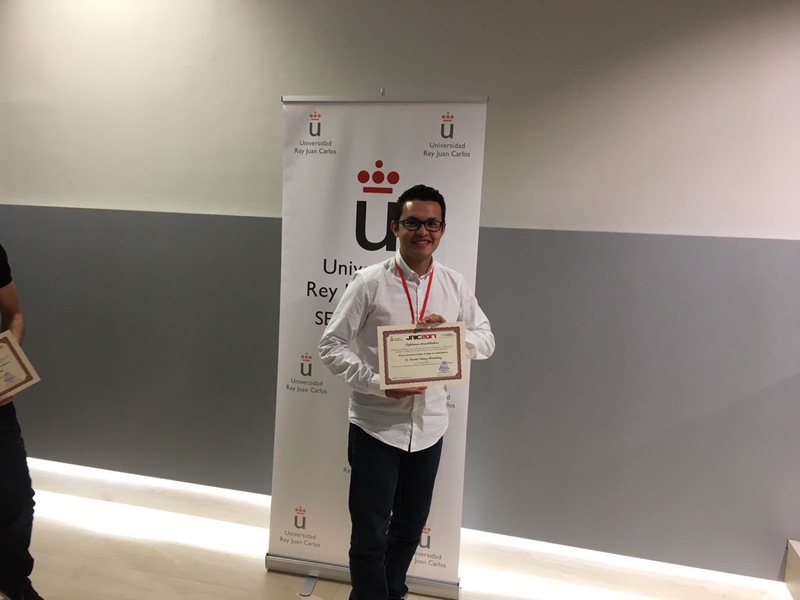 David Nuñez, postdoctoral researcher at NICS Labs, has been honored with the Best Thesis Award in JNIC 2017 (the National Conference on Cybersecurity Research), for his doctoral dissertation, entitled “New Security Definitions, Constructions and Applications of Proxy Re-Encryption”. David defended his thesis on January 2016, with professors Isaac Agudo and Javier Lopez as advisors. In his thesis, David studies the proxy re-encryption (PRE), a cryptographic primitive that constitutes a practical solution to the problem of securely sharing data in the cloud. Proxy re-encryption is a type of public-key encryption that also allows a proxy entity to transform ciphertexts from one public key to another, without learning anything about the underlying message. From a functional point of view, proxy re-encryption can be seen as a means of securely delegating access to encrypted information, representing therefore a natural candidate to construct cryptographically-enforced access control mechanisms. The contributions of this thesis follow a transversal approach, ranging from the theoretical foundations of the cryptographic definitions of security for proxy re-encryption, to the development of concrete applications integrated with real-world systems. The JNIC conference represents a meeting point for cybersecurity researchers and professionals at the national level. Its third edition took place in Madrid, from May 31st to June 2nd, organized by Universidad Rey Juan Carlos. As in previous editions, JNIC is supported by INCIBE (National Cybersecurity Institute), which as a prime actor in the cybersecurity scene at the national level, coordinates actions and efforts with other organizations, whether public, private, national or international, that work in this area.